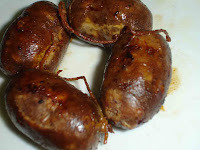 Not bad but if you are craving for Vigan Longganisa and live on the other end of the planet. Also, it doesn't taste Vigan-ish to me. Pwede na rin. Pack of 350gms costs P89.